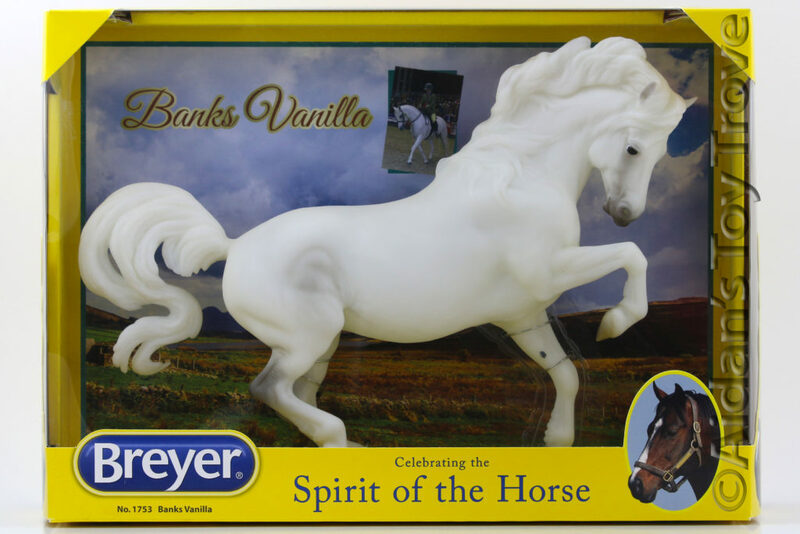 For Sale is a NIB Traditional Model Horse Breyer Patriot 1755. He is a gorgeous decorator on the popular Kathleen Moody American Saddlebred mold. The Breyer Patriot 1755 is still sealed and tied in the original box. The box may have normal wear. I noted no flaws on the horse. I cannot guarantee the condition of the boxed side. Please note that I have multiples of this model. You may not receive the exact horse pictured. 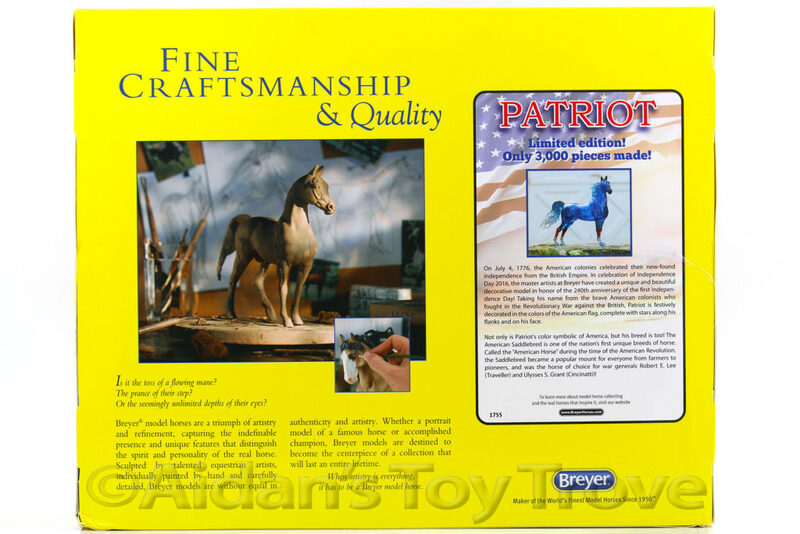 You will receive a brand new in box Breyer Patriot 1755. On July 4, 1776, the American colonies celebrated their new-found independence from the British Empire. 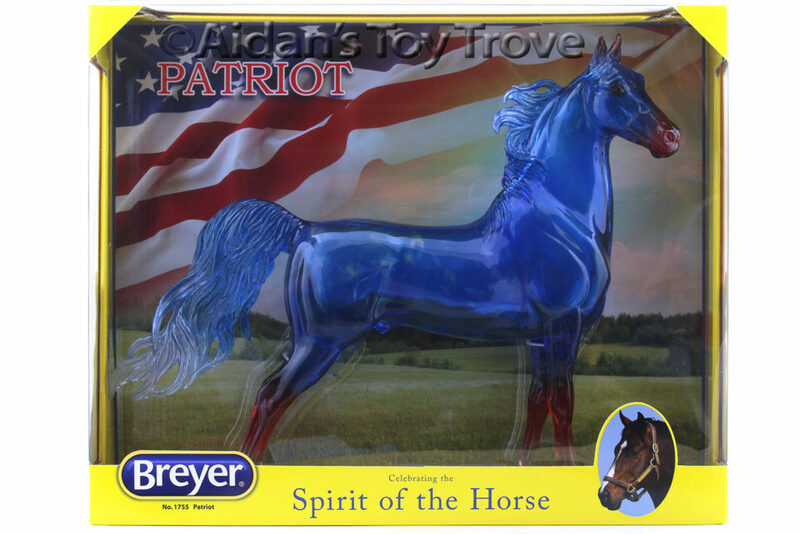 In celebration of Independence Day 2016, the master artists at Breyer have created a unique and beautiful decorative model in honor of the 240th anniversary of the first Independence Day! 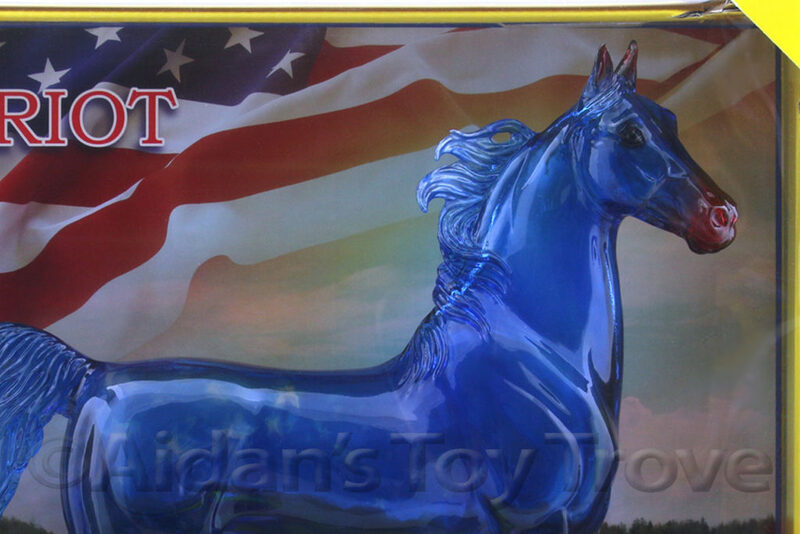 Taking his name from the brave American colonists who fought in the Revolutionary War against the British, Patriot is festively decorated in the colors of the American Flag, complete with stars along his flanks and on his face. Not only is Patriot’s color symbolic of America, but his breed is too! The American Saddlebred is one of the nation’s first unique breeds of horse. Called the “American Horse” during the time of the American Revolution, the Saddlebred became a popular mount for everyone from farmers to pioneers, and was the horse of choice for war generals Robert E. Lee (Traveller) and Ulysses S. Grant (Cincinatti)!